Toxins can be found almost everywhere, ranging from inhaled air to the meals we eat every day. It is almost impossible to avoid toxins in our environment but we can strengthen our body from inside and pay attention to our immune system. Toxins accumulate after a while and cause destruction in our body. Toxins can significantly slow down the effectiveness of the organs too. Although these symptoms may be due to possible underlying health problems, it is best to have purification on a regular basis to cleanse our bodies. One of the most common culprits of toxins in the body is processed and refined foods, smoking and contaminated air, food additives, preservatives, pesticides and fertilizers. It is true that our body has a mechanism that can cleanse the body from time to time but you must take every possible step in order to avoid the deposition of poisons in the body. Keep yourself away from excessive sunlight and contamination. Get rid of stress and unhealthy foods from your life. Eat fresh vegetables and fruits taht are rich in nutrition and try to reduce caffeine. Additionally, regular exercise is very important. Herbs have long been associated with the magical flavors in kitchen but we must also remember how much health benefits they have. Here are 5 herbs that can be kept in every household and which have a very good purification effect. Aloe Vera has wonderful health properties. Virtually everyone knows their detoxifying and cleansing effect. You can only consume it as aloe vera juice or even its fiber. Use water or other fruit juices, such as pumpkin or apple juice. It is best to consume this plant in the morning. It has a powerful detoxification and cleansing effect due to its high chlorophyll and nutrient content. It's full of vitamin A, C, B and E. You can choose the fresh wheat bran that you can easely get, or the powder of it, or it can be consumed simply as a tablet. You should ask your doctor for advice before taking it. Both herbss are referred to as superfood. Their antibacterial, anti-inflammatory and cleansing properties are well known. You can eat it with other foods, simply put it in water or cook a herbal tea. Or put some leaves in the water bottle and sip it all day. 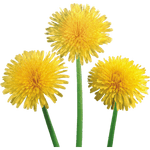 Dandelion is a one-step solution to many health issues such as water retention, bad digestion or skin diseases. It has blood-purifying properties and is a great solution for excessive alcohol consumption. Choose dandelion tea or capsule. The leaves contain beta-carotene, calcium, iron and potassium. This herb is often recommended for improving liver function and digestive system. It also helps to counteract the damage caused by stress, contamination and non-high quality foods. 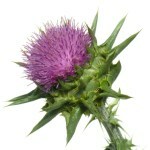 Natural Herbal SupplementThe usage of the milk thistle suppressed in the beginning of the last century but we discovered it again in the middle of the..